In part 1 of this article we began discussing the concept of Alcohol Assessments, and how I came to realize how very important the results of any Alcohol Assessment test was in terms of the Sentence a person received, particularly in a DUI, where such a test is required by Law. In this second part, we’ll pick up right where we left off and continue our examination of the role of the Alcohol Assessment test in DUI and other Criminal cases, and how a person can and should be prepared in order to do as well as possible at this most critical stage. Now let’s be clear about the role of these tests. In a DUI case, for example, the results of whatever test is given is, BY FAR, THE SINGLE MOST IMPORTANT FACTOR in determining what kind of Classes, Counseling, Education, or Rehabilitation Services will be ordered for the Defendant. It doesn’t matter who you are, where you work, or who you know, if your test score indicates that you have, or are at risk to develop an alcohol problem, you are going to be ordered by the Court into some kind of Counseling or Treatment. End of story. This means that scoring as well (meaning as low) as possible on this kind of test will have the biggest and best impact on the outcome of a DUI case, short of having the whole thing dismissed. It also means that missing a beat here or there will send you to Classes, Counseling, or Treatment that you might have otherwise been able to avoid. So that’s really the bottom line to all this. 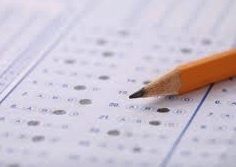 After we strip away all the “politically correct” ways to discuss this, the unblemished truth is that if you know how to score as low as possible on one of these tests, then the outcome of your case will be better. Makers of Radar Detectors will proudly tell you their products are not made for the purpose of defeating any legitimate law enforcement tool, nor are they sold to help people break the law (meaning speed). Instead, the sales pitch involves your right to know if you’re being watched. Ditto for preparing for any kind of Alcohol or Drug Evaluation Test. I’d never suggest anyone lie, or give an untrue answer on one of these tests, but I sure as heck think that you have the right to know how you’re answers will be evaluated, and how any particular answer affects your test score. In that regard, you have every right to know what you’ll be asked about, and every right to know how your answers will affect the outcome of your DUI (or other) case. Okay, so back to my former Assistant who helped me learn all of this stuff. As she saw me trying to “reverse engineer” each of the different Alcohol and Substance Abuse tests I was seeing administered, she laughed at my efforts. Instead of trying to master each of these different tests, she said, why don’t you learn the 5 core things that most of them are examining. This way, no matter what test you’re Client faces, they know what’s being asked and how their answers are scored. This is what preceded my rather “academic” study of the whole field of Addiction and Recovery. In short, I make sure they understand what they’ll be facing, and give them the tools to know how their answers will be “scored” against them. One of the more cynical things I have learned is that it is, after all, the very same group of people who create the various Alcohol and Drug Counseling, Education and Treatment Programs also devise the very tests to determine if someone needs those programs. In future articles, I will probably dissect this subject into much smaller pieces. For now, it’s adequate to just point out that dealing with a DUI, or any case that involves alcohol or drugs, or will at least involve an Alcohol or Drug Assessment test (like a Driver’s License Restoration), and not being adequately prepared for that test means being saddled with a huge disadvantage that can only be eliminated by understanding the nuances of the testing procedure. Typically, a fairly straightforward and simplified review of the testing process takes me from an hour to an hour and a half with my Client. Depending on the circumstances of their case, we may need more time to dig a little deeper into the testing process. In a DUI case, the Alcohol Assessment Test is scored, and forms the primary basis for the level of Counseling, Education or Treatment Recommended to the Judge at the time of Sentencing. Knowing how to avoid any unnecessary “bad answers,” and knowing how to get the lowest score you should amounts to, in my mind, more than just getting a mere “advantage.” It means going into the fight with your eyes open, as opposed to closed. And make no mistake about it. For all the fine and polite talk, that test is your adversary. If you “beat” it, you avoid Classes, Counseling and/or Treatment. If it gets the better of you, then plan on making some new friends at the local Clinic. As to that former Assistant of mine: She went and earned a second College degree, this one in Divinity, and became a Minister on the East Coast. It seems she never stopped helping everyone she ever met. I, for one, am “eternally” grateful for what she taught me.